LARGE DATE. GEM SATIN LUSTROUS SURFACES. 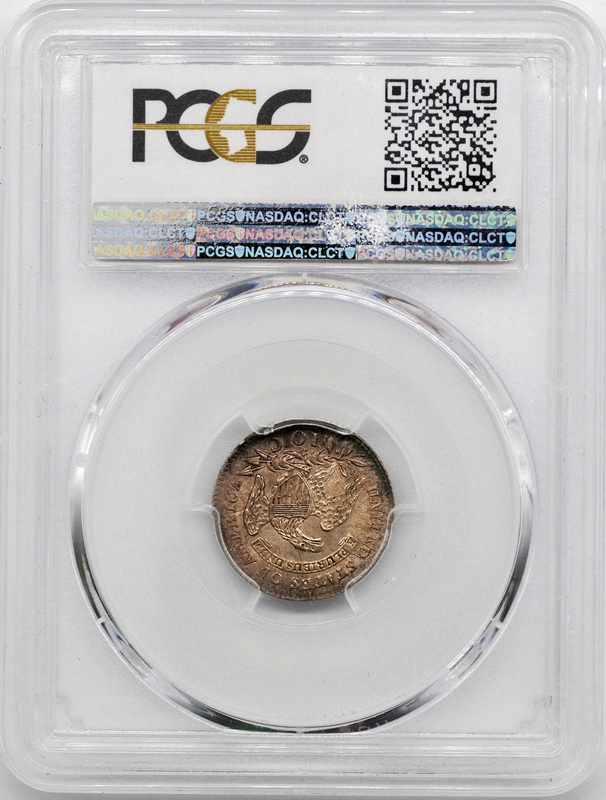 JUST 6 GRADED HIGHER AT PCGS. 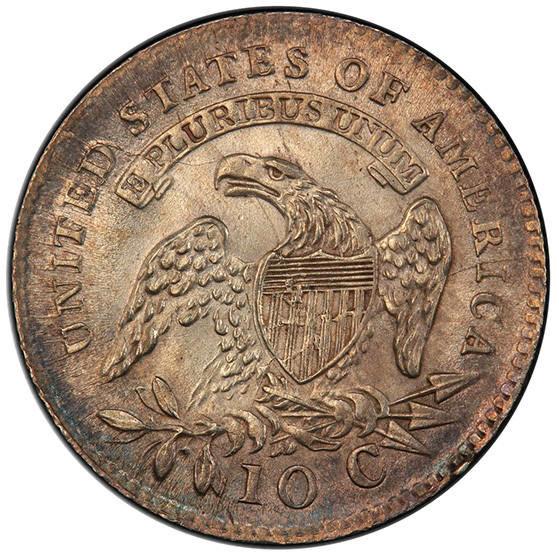 Andrew Jackson defeats the British forces at the Battle of New Orleans in a fight that took place after the war had already ended. Had the British controlled New Orleans, which was a vital American port at the time, they might have wrung more concessions out of America or even taken a large swath of what is today American territory for Canada. 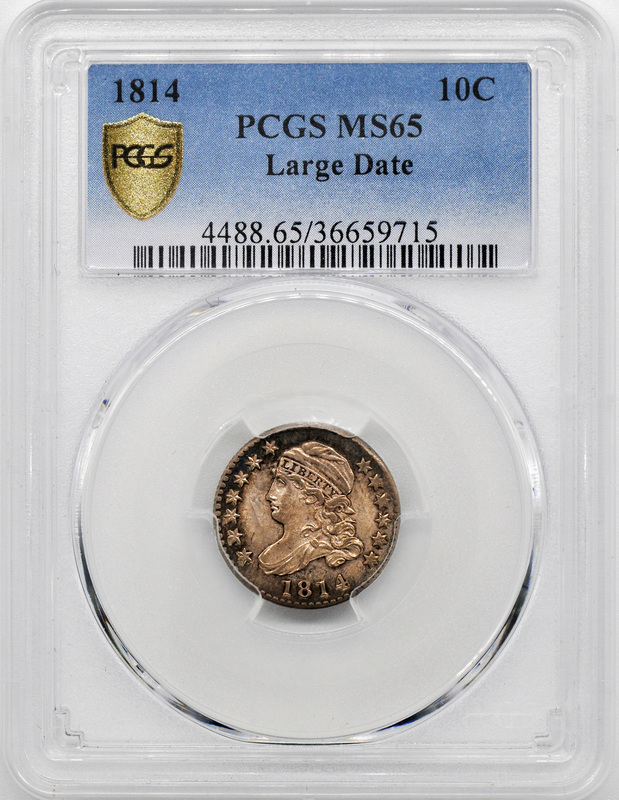 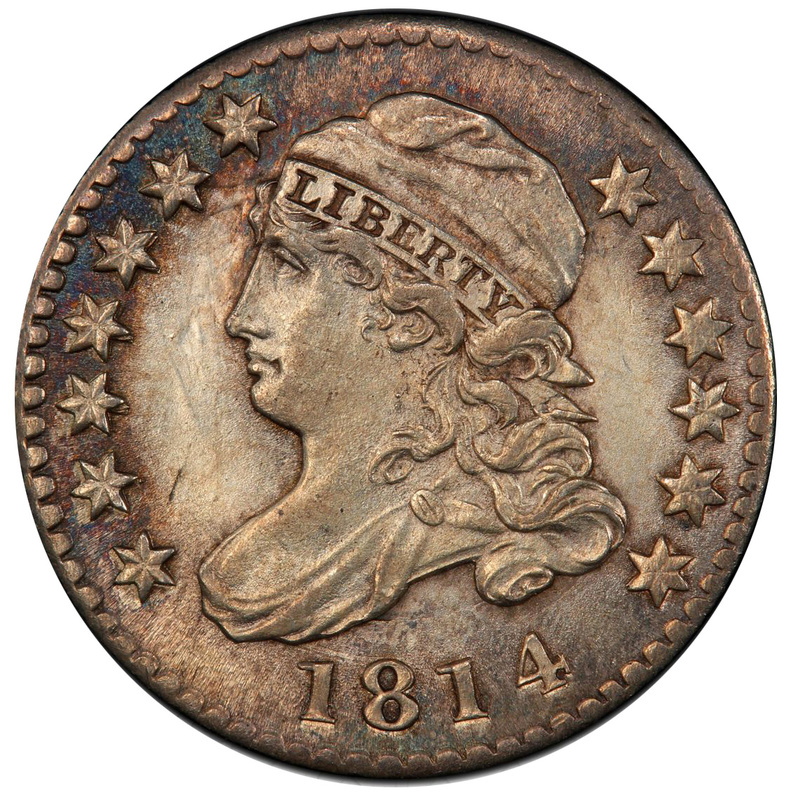 This 1814 dime recalls a battle that helped Jackson win the presidency in 1829.